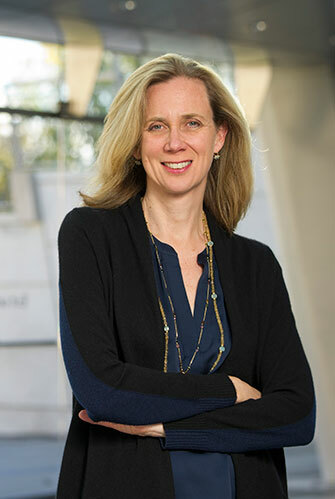 Since 2009, Catherine Morris has curated a number of exhibitions for the Sackler Center including the award-winning Materializing “Six Years”: Lucy R. Lippard and the Emergence of Conceptual Art (co-curated with Vincent Bonin); Twice Militant: Lorraine Hansberry’s Letters to “The Ladder”; Between the Door and the Street: A performance initiated by Suzanne Lacy; “Workt by Hand”: Hidden Labor and Historical Quilts; Kathë Kollwitz: Prints from the “War” and “Death” Portfolios; Rachel Kneebone: Regarding Rodin; Newspaper Fiction: The New York Journalism of Djuna Barnes, 1913–1919; Matthew Buckingham: “The Spirit and the Letter”; Lorna Simpson: Gathered; Sam Taylor-Wood: “Ghosts”; Kiki Smith: Sojourn; and Healing the Wounds of War: The Brooklyn Sanitary Fair of 1864. She was also the in-house curator of Eva Hesse Spectres 1960 and Seductive Subversion: Women Pop Artists, 1958–1968. Before coming to us, Catherine was an independent curator. Among some of the projects she organized are Decoys, Complexes, and Triggers: Women and Land Art in the 1970s at SculptureCenter, Long Island City, 9 Evenings Reconsidered: Art, Theatre, and Engineering, 1966 for the M.I.T. List Visual Arts Center, and Gloria: Another Look at Feminist Art of the 1970s at White Columns, New York. From 2004 until 2009, she was Adjunct Curator of Contemporary Art for the Philbrook Museum of Art in Tulsa, Oklahoma, where she curated shows of Josiah McElheny, Lucy Gunning, and Cameron Martin. In 2004, she received a Penny McCall Foundation Award for Independent Curating and Writing.